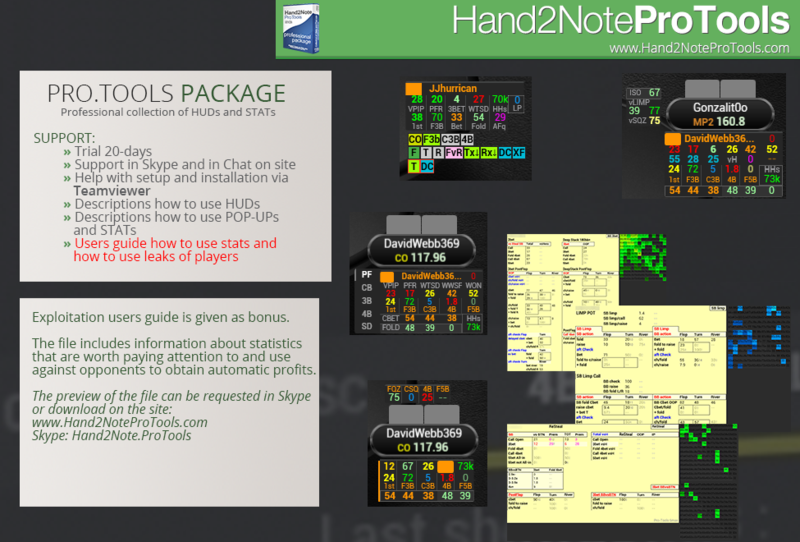 Professional collection of HUDs and pop-ups. 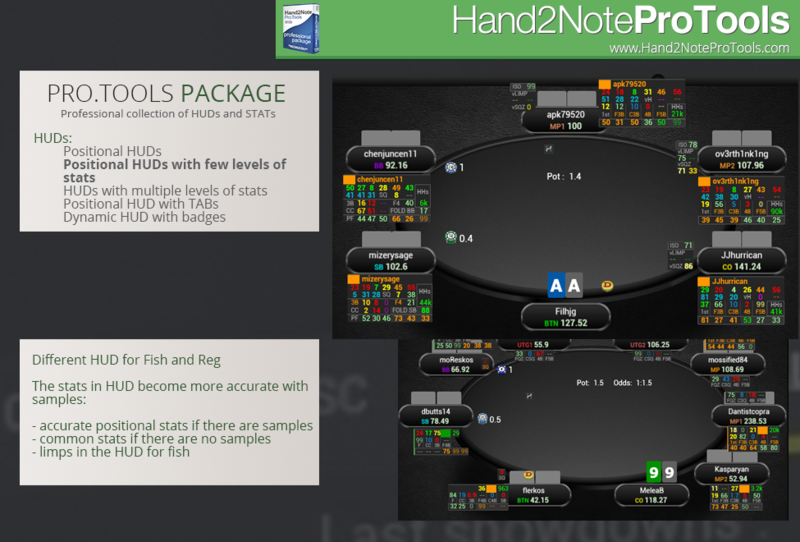 Ready-to-use HUDs and pops for 6-9max and Heads-Up, as well as a large number of required stats in Pro.Tools will allow you to better understand the players and more often make the right decisions. Static HUDs: Same HUD for all players at the table, HUD like in HM2 and PT4. Positional HUDs: Different HUD For players before and after you. Classic positional HUDs for 6/9max tables are available for editing. 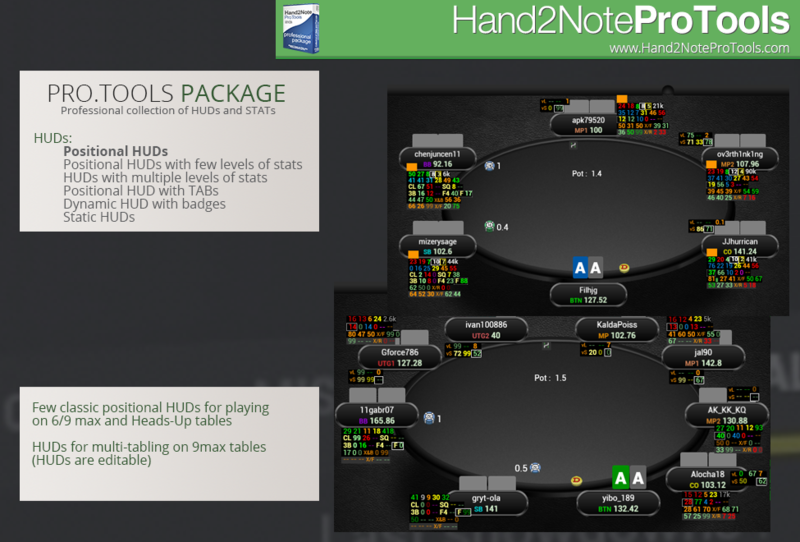 Positional HUDs for multi-tabling (compact HUD allowing to play on a big number of tables). 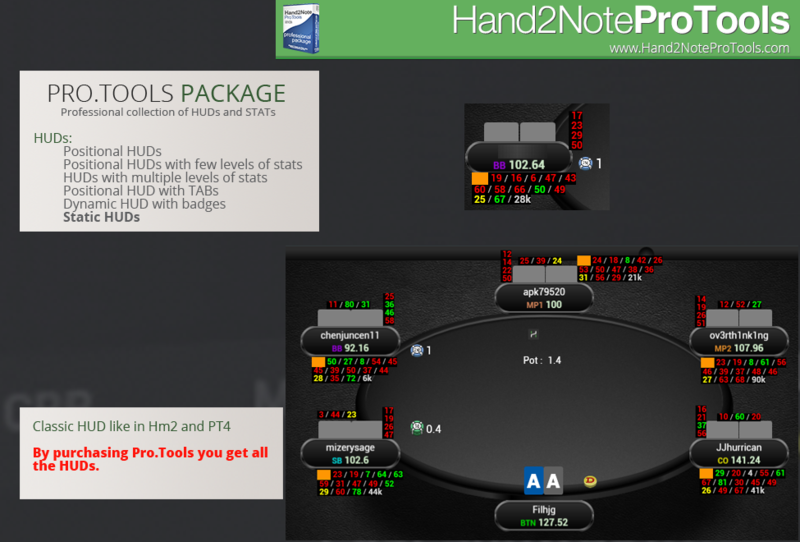 Position Heads-Up HUD for starting 6/9max tables. 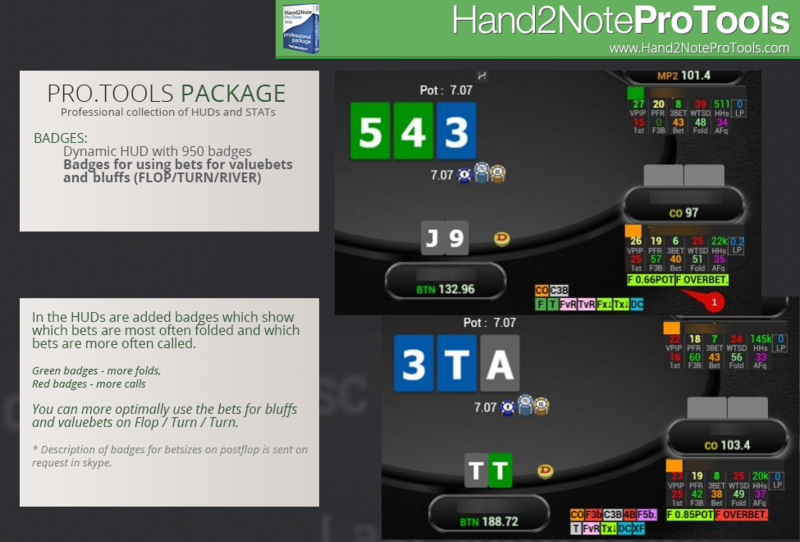 Positional HUD with multiple levels of stats: HUDs have different stats for players depending on the number of hands and samples. In HUDe accurate statistics when there are samples, if there are no samples then the player has common statistics. Positional HUD with TABs: HUD can be changed manually depending on the actions on the table. This HUD also has different stats for players depending on the number of hands and samples. Dynamic HUD with badges: HUD varies depending on the actions on the table. 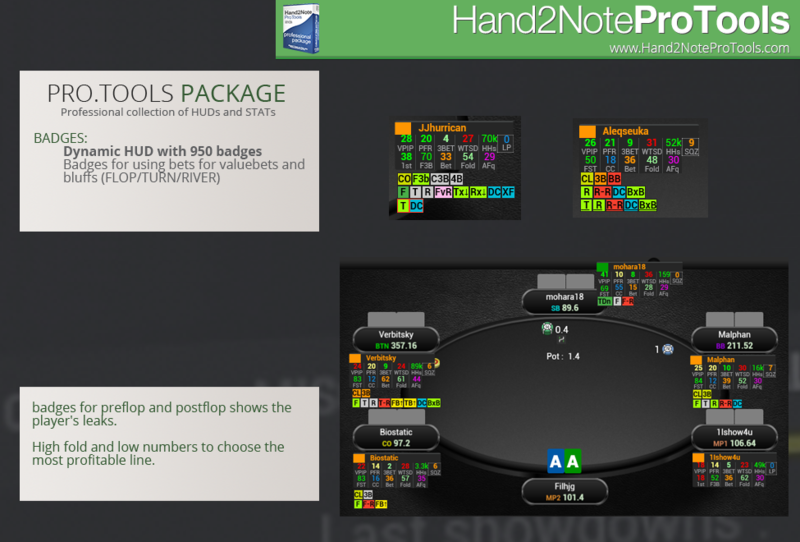 Badges appear in the HUD, depending on the actions of the players and show preflop and postflop leaks. 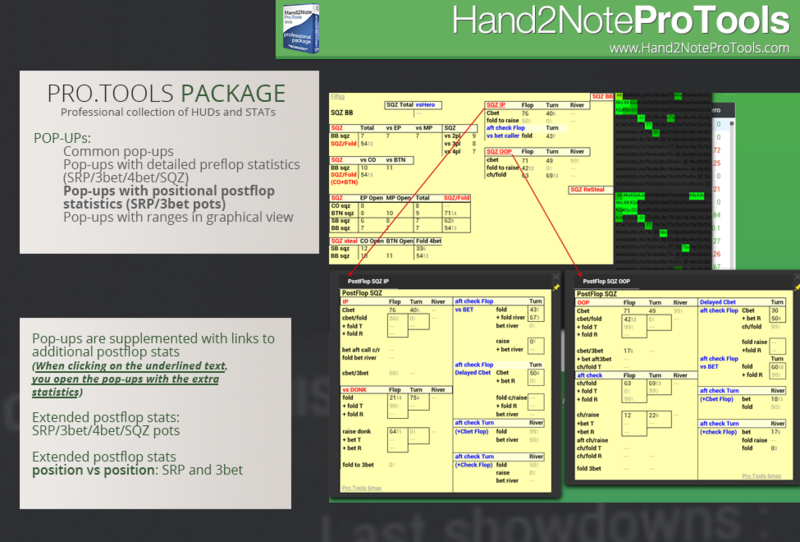 By purchasing Pro.Tools you get all the HUDs. 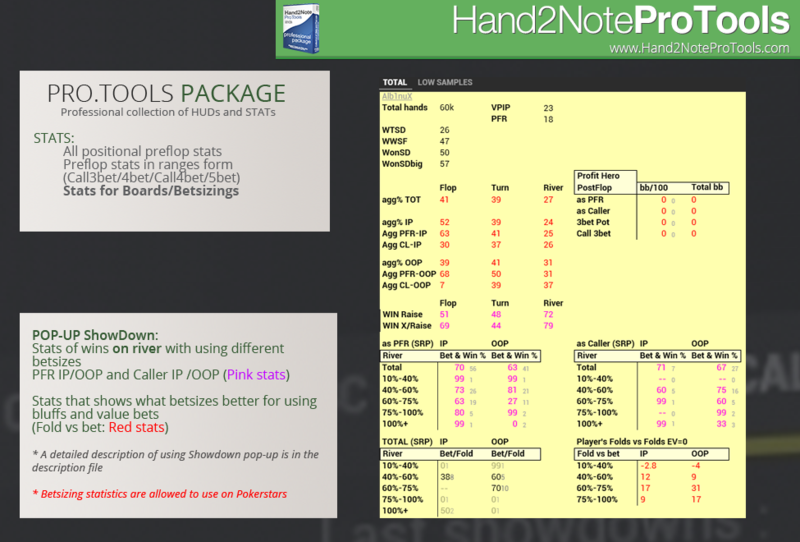 so in the collections Pro.Tools you can find the necessary for yourself stats and functionality. 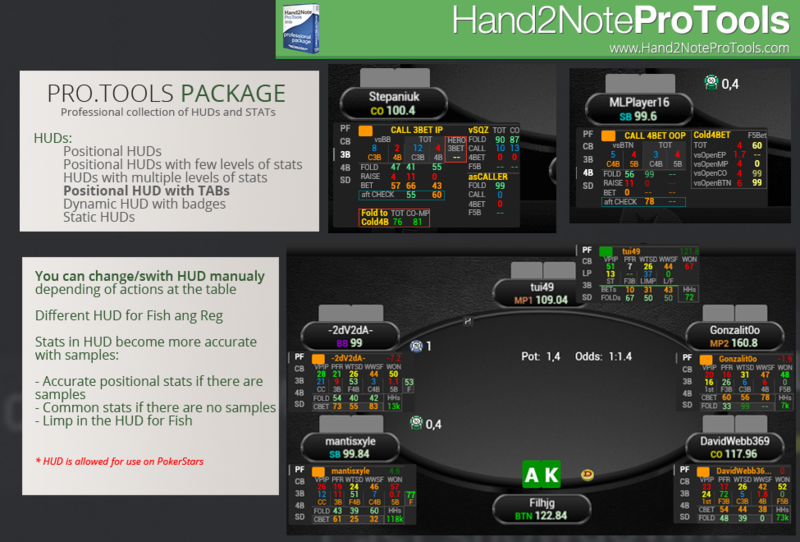 Contact us and we will tell you what's new for playing and using statistics. 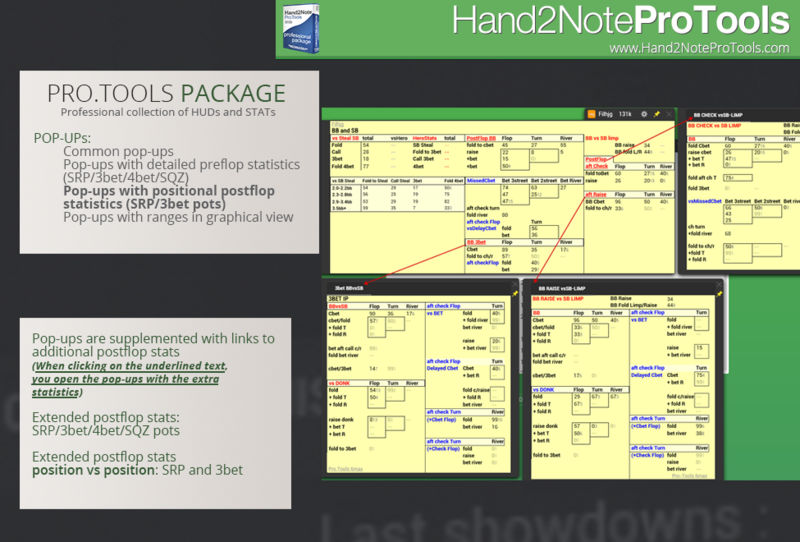 Trial is available, you can test Hand2NotePro.Tools for 20-days: detailes in skype.